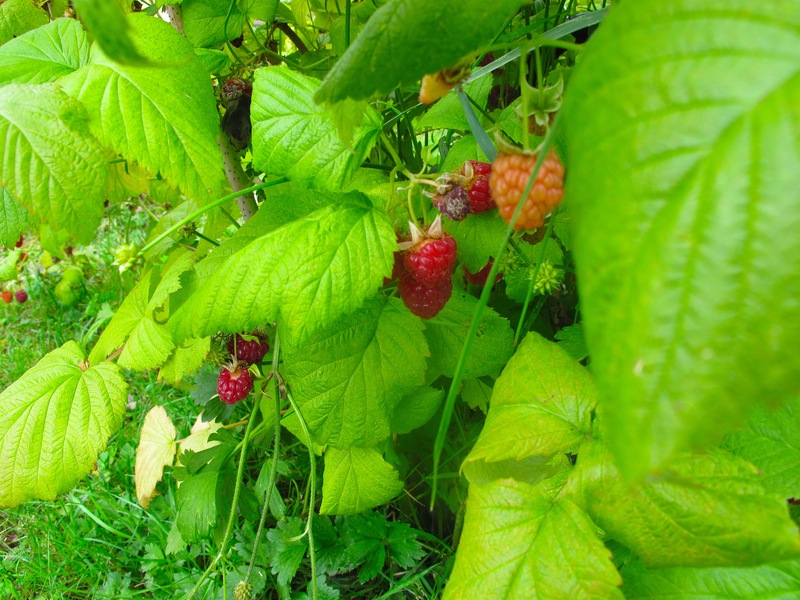 As it turns out, the house we recently moved into has some treats planted in the backyard, raspberries, blueberries and rhubarb. I really wanted to make use of this somehow other than just picking and eating them as they are, so I felt muffins would probably be a delicious attempt. I’m going to be honest with you, I probably haven’t made muffins since helping my mom when I was a child. So when I first began this adventure I was most definitely nervous for the outcome, as my baking track record is grim. But whoa were these good! Muffins will be making more appearances into my routine now. I made a few substitutions to make these a little lower fat and lower calorie. 1. Preheat oven to 375°. Grease muffin tin or fill with paper liners. 2. In a bowl, whisk together the yogurt, egg, oil and vanilla. 3. In another bowl, mix together flour, sugar, baking soda, baking powder and salt. 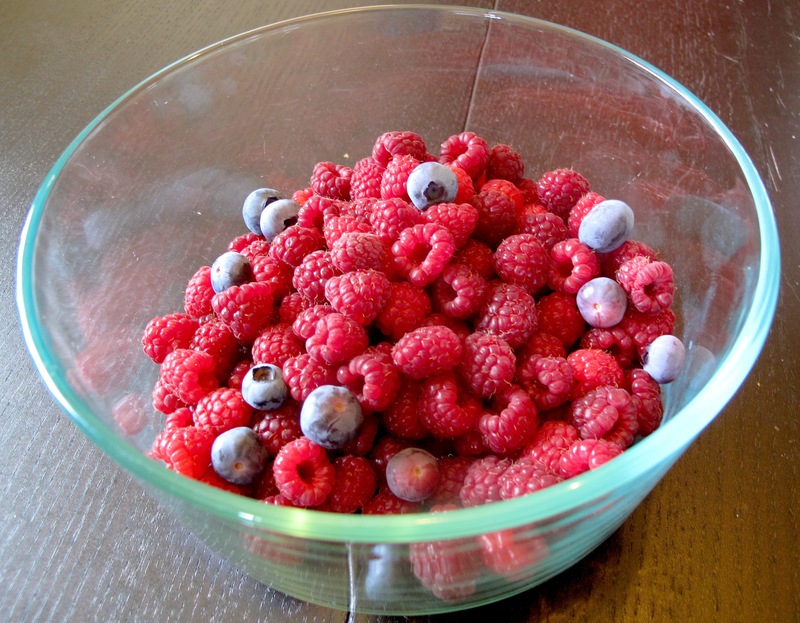 Take 1 tbsp of the dry mix and toss it in with the berries. 4. Fold wet mixture into dry mixture. 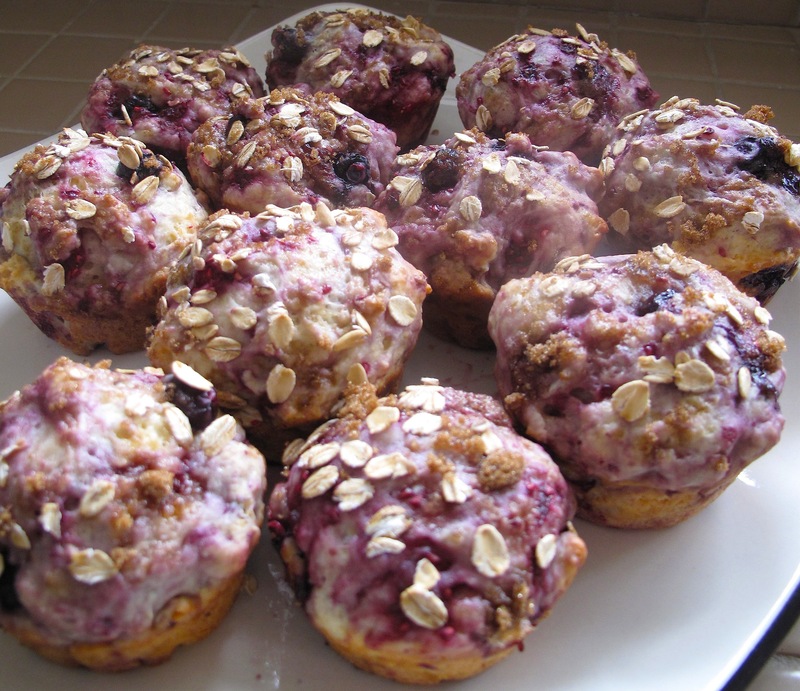 Gently stir in the raspberries and blueberries, but be careful not to over mix to avoid tough muffins. 5. Scoop mixture into a muffin tin, about 2 spoonfuls or 1 ice cream scoop. Sprinkle topping over tops. 5. Bake for about 15-20 mins or until a toothpick comes out clean. 6. Let muffins cool for 5 mins before removing from the tin. This entry was posted in Baking, Muffins and tagged baking, blueberries, garden, muffins, raspberries, Recipes, yogurt by Karina. Bookmark the permalink.